Shabd is a New York fashion label initiated by artist Shabd Simon-Alexander in 2009. She has been featured in The New York Times, New York Magazine, Time Out, Daily Candy, Nylon, Blackbook, Dossier, Bust Magazine, and on innumerable blogs. Having earned a reputation as one of this generation’s leading dye-artists, she recently had the honor teaching Martha Stewart how to tie-dye. Shabd has worked with a variety of artists including Anne Chu, Andrea Crews, Antoine Catala, The Brooklyn Children’s Museum, Christo and Jeanne-Claude, Jasmine Shokrian, Joshua Safdie, Lion Brand Yarn, Mary Adams, Thakoon, and the art collective Saviour Scraps. In this weekend intensive class, you will learn the same things as in the Spring dye class in one fun-filled weekend. This class is perfect for you out-of-towners who have hinted at coming in for a class! We will explore the basic procedures for dyeing with Procion dyes, by immersion and direct dye methods, with both cellulose and protein fibers. You will learn various tying, dying and shibori techniques, as well as basic color theory and design concepts for dying. It will be fun, and colorful and bright! Discover the dyer in you and design your own dye patterns! Students will focus on swatches to perfect technique and in the second class work on individual projects. 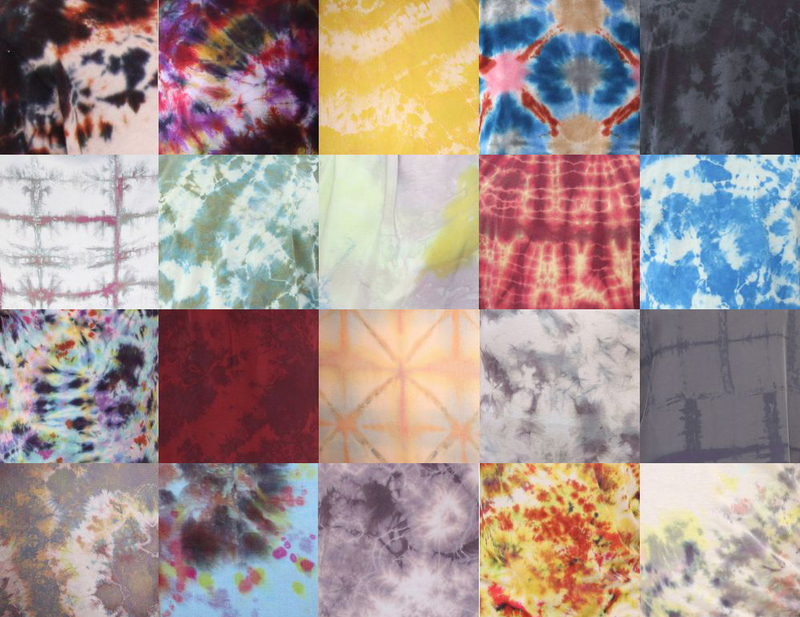 In this one-day workshop, we will focus on making a set of shibori dyed napkins, in the process learning the basics of the chemistry behind dyeing, learning various tie-dye/shibori techniques, as well as some basic color theory and design concepts for dying. I’ll be traveling a bit this summer, let me know if you want to try to arrange a class in your city! ABOUT THE TEXTILE ARTS CENTER: The Textile Arts Center is a beautiful 3200sf space in Brooklyn’s Carroll Gardens dedicated to providing support to fiber artists and everyday people interested in working with fibers. TAC holds classes, workshops and special events as well as running open studio hours, hosting gallery exhibits and running an artist in residency program. This entry was posted on 11 May 2012 by World Shibori Network and tagged class, NYC, shibori.